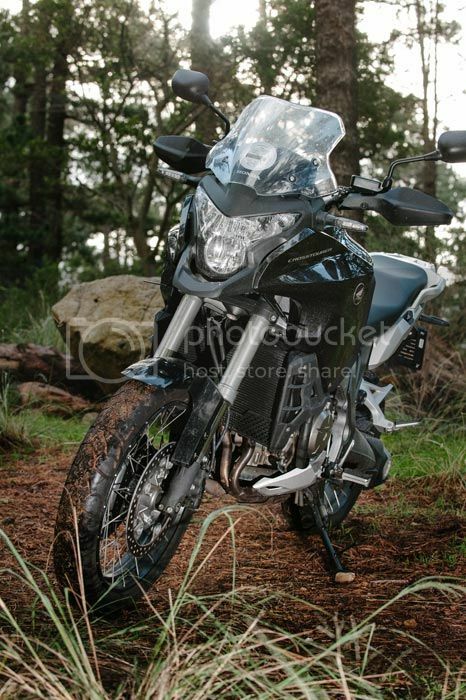 The Honda VFR 1200X CrossTourer is a dual-purpose adventure/touring bike. 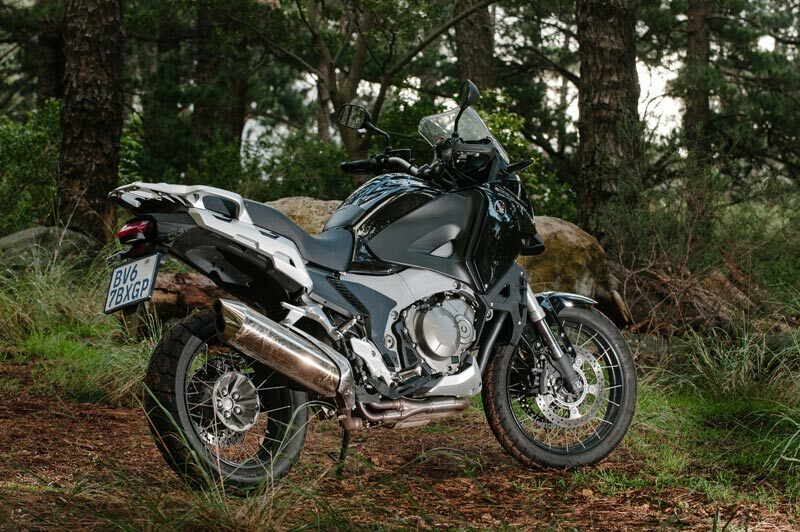 This Honda has the BMW1200 GS and KTM 1190 lined up neatly in its crosshairs and intends to make some serious inroads into the adventure/touring market. It’s comfortable on longer rides for both rider and pillion and more than capable off the beaten track. Powered by a liquid-cooled 1200cc V4 motor, pushing out a claimed 95kw, final drive is delivered via a superbly smooth shaft drive. The six-speed gearbox is optimised for delivering the 125Nm of torque to the back wheel efficiently, without any clunky up or downshifts. 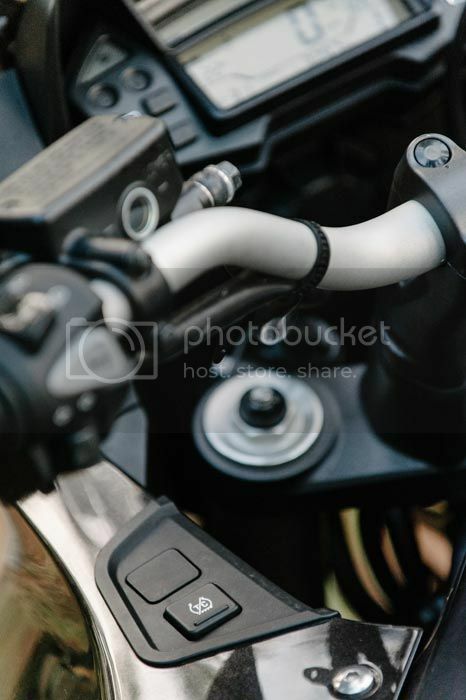 The four-stroke Unicam 16 valve motor is placed at an unusual 76° angle, as opposed to the conventional 90° angle preferred by other manufacturers (Ducati and Aprillia). However, what does matter is that this configuration works in that the big Honda delivers power to the rider in one smooth action without any jerky responses. In this respect, the V4 beats the 1200 GS by almost 20kw in the engine-power stakes. Honda has hit the nail on the proverbial head with the modern and all-new styling of the VFR. Fresh and strikingly bold, the bike looks like an adventurer’s weapon of choice. The beaky nose reminds me of a Darth Vader helmet, or the new Batman mask – aggressive and a little scary, while the functional (read: high and ideally situated at the right height) handlebars lend this bike an aggressively sporty look that will not look out of place in the bush or in the city for that matter. The two-tone black-and-silver model turned many heads, often eliciting a second glance, and is designed to take the knocks and scratches that come with off-road riding, not that this is the bike’s natural habitat. My feeling is that the V4 will be quite at home on longer, better graded gravel and dirt roads that allow for faster speeds (read: farm roads), but will struggle on the really rough, sandy and loose-shale back roads around South Africa. Instrumentation is up to date and modern with good visibility in bright direct sun. 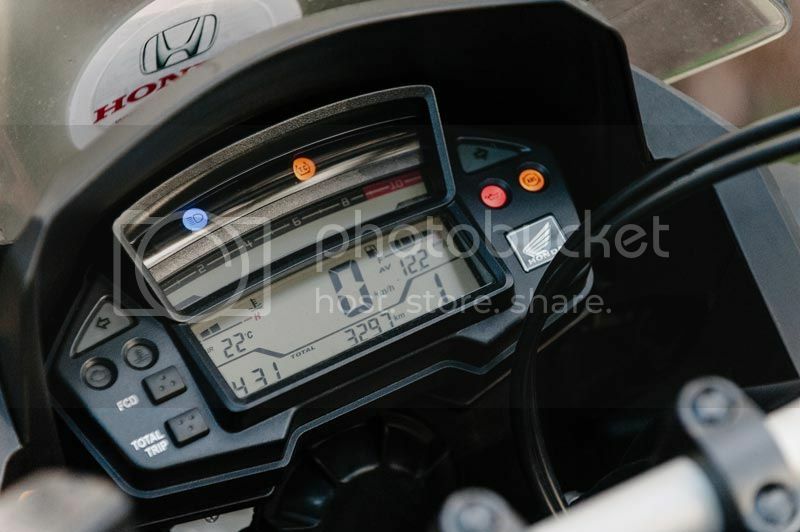 The digital LCD clocks show you the required information clearly – km/h speed and the all-important engine rev counter, together with a toggle switch showing features like fuel consumption, distance travelled and travel range, and a very nifty gear indicator (why more manufacturers don’t include this simple functionality is not clear, but they are starting to appear on more bikes) – nice to haves that make life a little easier. 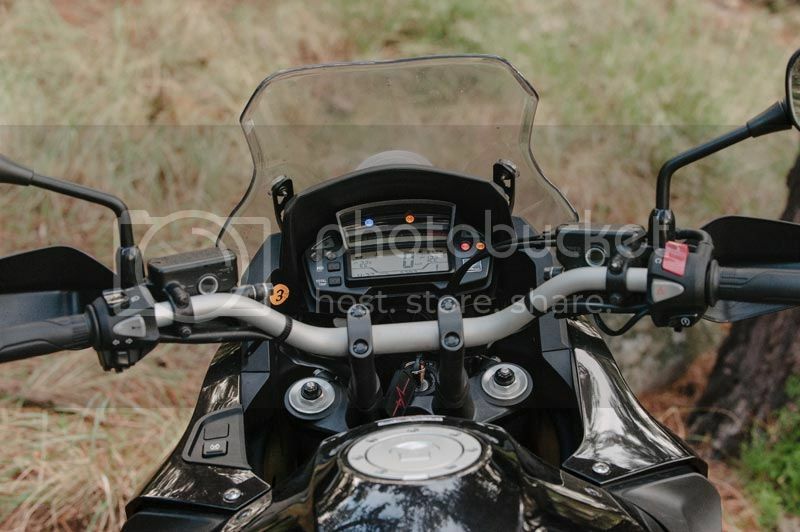 Also on the handlebars are conventional indicators (left bar) positioned next to the ABS on/off switch. The TCS – traction control system comes as standard with this model and can be switched off when needed – the TCS works by monitoring the rear-wheel speed, cutting engine power when a slide is detected. The throaty roar of the V4 motor coming on song is like music to the ears. 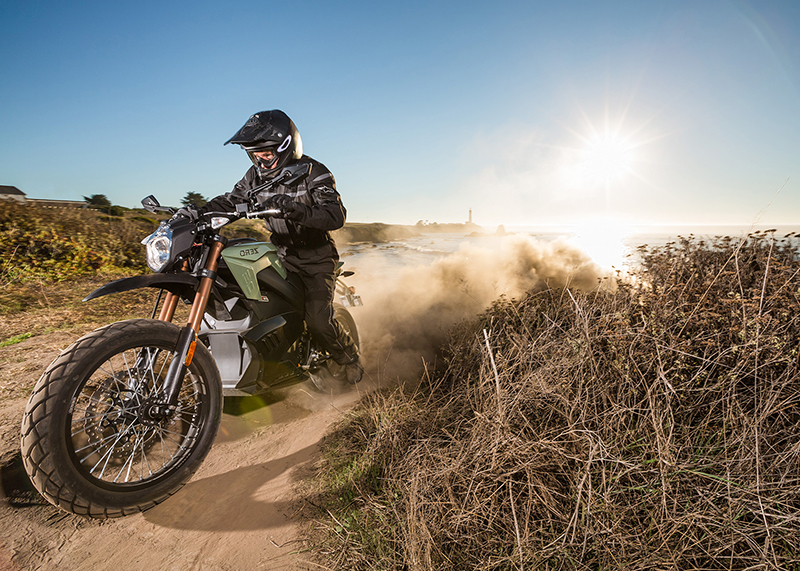 The motor is strong from low down in the rev range and is comfortable during lower speed off-road riding. Where this motor really comes to life though, is on the long roads leading to the bush. The 1200 is a really capable touring bike, easily achieving speeds well over the national speed limit without much effort. Wind protection is more than adequate, with a decent height screen as standard. 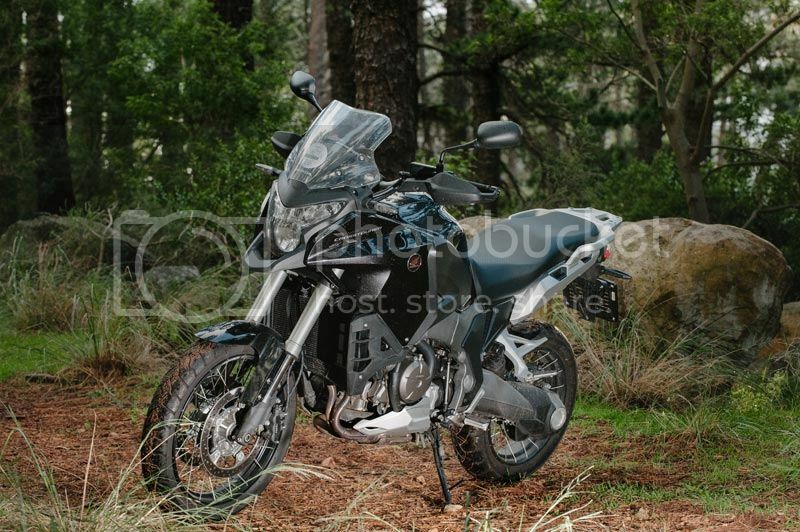 Other twin adventure bikes, like the KTM and BMW GS can struggle on the longer stretches, but not this beauty. The motor is really tractable and the mid-range is particularly strong when overtaking slower traffic. Claiming figures of 95kw @ 6500r/min, the engine performance is smooth and flawless and gives the rider the confidence to overtake in top gear, without having to shift down. The sound of the engine purring at 7500r/min, when maximum torque is achieved, is something you have to experience for yourself – get to a Honda dealer today for a test ride. The ride is plush and comfortable over all terrain and the spoked wheels absorb the bumps nicely. 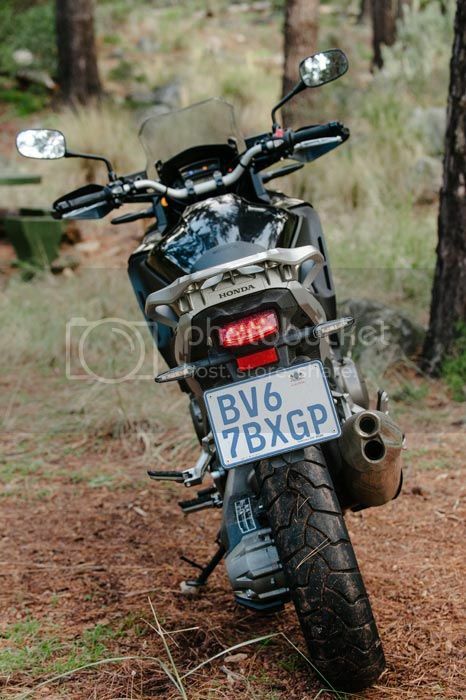 Over loose, rocky terrain the bike handled superbly and never felt out of control. At 275kg the Honda does not feel heavy and the foot pegs are positioned for stand-up riding, giving the rider the confidence to take on almost any type of off-road terrain. 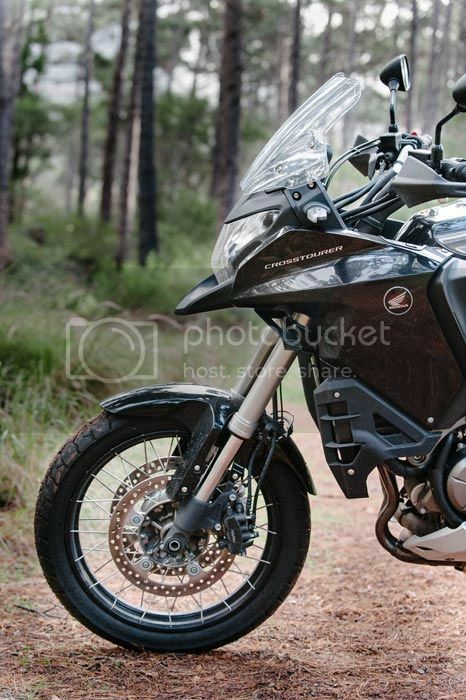 The bike is also no slouch through the twisties, as experienced on the Rooi Els mountain pass – it easily takes on the tighter corners like a true sports bike should. 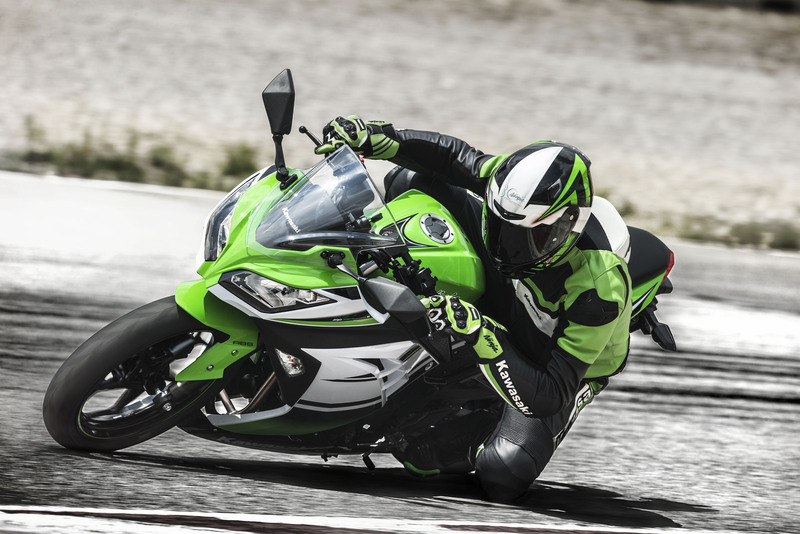 The dual combined braking system (CBS) gives the bike great stopping and slowing down capability, another confidence-inspiring aspect of this bike. The large 310mm front disc works very effectively, bringing the bike to a stop quickly and without any wobbles. ABS prevents the front wheel from locking up under emergency braking, a definite lifesaver in tricky situations. The VFR1200X CrossTourer is also available in an Adventure model option, which includes a top box, panniers, main stand, cowl kit, screen, 12V socket kit, and heated grips − all of which affect the ride only slightly (disclaimer: still to be tested with the full Adventure kit). I like the riding position (both seated and standing − a key component of dirt-road riding) and the seat height (850mm, which is on the tall side for most riders). I found this bike to be the natural choice for almost any application, but where it really surprised me was on the loose dirt roads out in the Overberg during a long ride. My fellow riders on that trip were riding GS machines (both a 1200 and an 800), and there was little that the VFR 1200 could not do on hill climbs, loose gravel, light sandy patches and even some hard-packed mud. 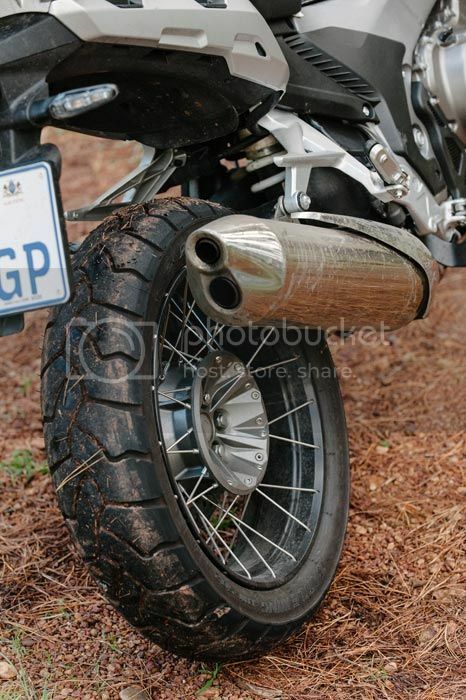 One possible change would be in choosing a tyre selection more geared to dual-sport/dual-purpose activity. Brand names like Continental, Dunlop, Mitas, Maxxis, Heidenau, Michelin, Pirelli, Bridgestone and Mefo all offer a wide variety of tyres, and would, in my opinion, make a huge difference to ride and handling, depending on where you would be doing most of your riding. It would be best to shop around to find something that works for your specific needs. 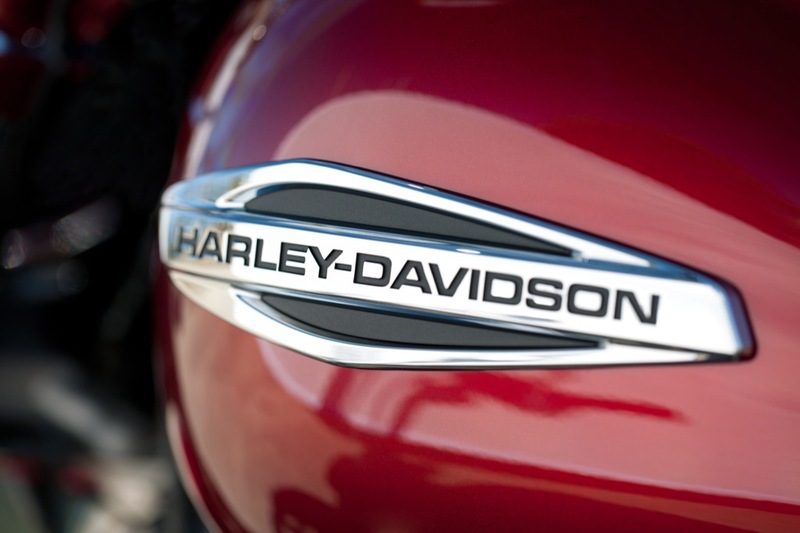 To end on one last positive and very important note − all the pillion riders loved this bike – the passenger seat is really plush and comfortable over longer rides. Perfect Bike, all that you have mentioned in Your Test is correct. Hi, Paul. Thanks for getting in touch. Where do you ride?